Tarken Park and Recreation Center: Mission Accomplished! 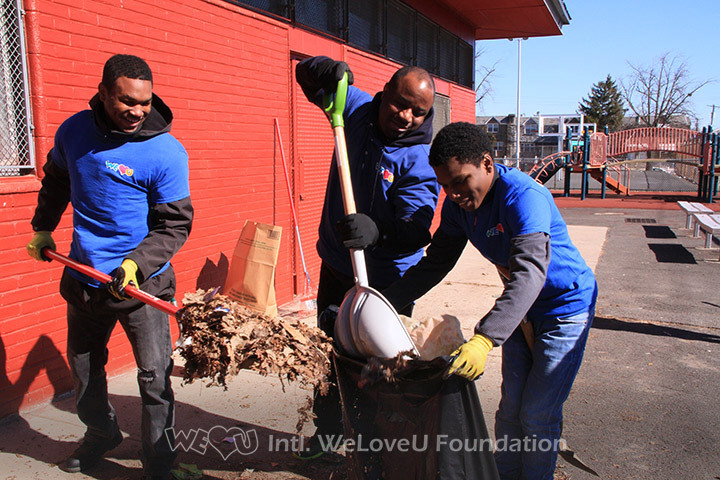 On Sunday, March 18, 2018, 60 volunteers from the International WeLoveU Foundation returned to the Tarken Park and Recreation Center in northeast Philadelphia for round two of their revitalization efforts. Initially, the group turned their attention on the park in November of 2017. With nearly 70 volunteers, they repainted graffiti-covered walls, uprooted weeds, replaced basketball nets and collected trash. The community really appreciated the volunteer’s hard work and showed it by maintaining the improvements during the winter season. Not a single basketball hoop was broken. Freshly painted walls on the recreation center remained graffiti-free. Litter and other trash once found scattered throughout the park were kept under control. 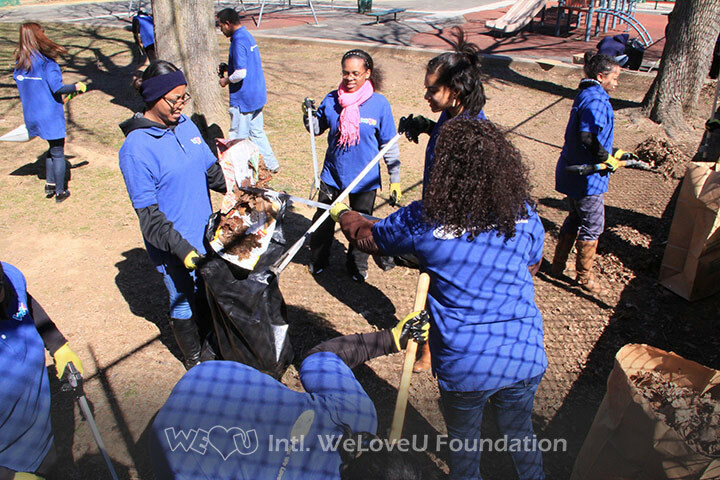 Now, the WeLoveU Foundation returned to the neighborhood to complete the remainder of the project. The volunteer’s focus switched to removing poisonous vines and invasive plants. Over time, the unwanted greenery grew around the park’s playgrounds, tennis courts, and baseball fields. To counter this, the participants began digging and uprooting vines that crept up the sides of the tennis courts and fences. Surprisingly, each vine reached 12 to 15 feet above the ground’s surface! By removing them, all visitors can be sure to enjoy a safe park experience. Meanwhile, the rest of the volunteers grabbed shovels and rakes. They bagged up loose wet leaves unearthed since winter. Also, they cleared pathways blocked by dirt and debris to make a safer walking trail. 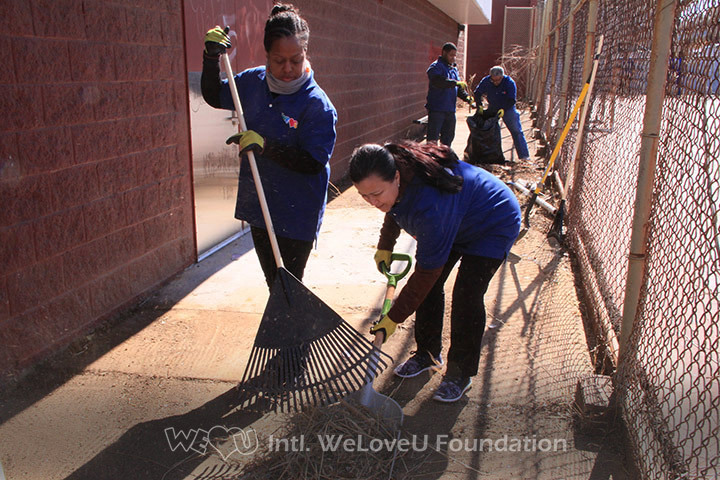 During the course of the event, local media outlets came to report WeLoveU’s efforts at the Tarken Park and Recreation Center. Philadelphia’s ABC6, NBC10 and Fox 29 spread out throughout the park recording all the progress made. 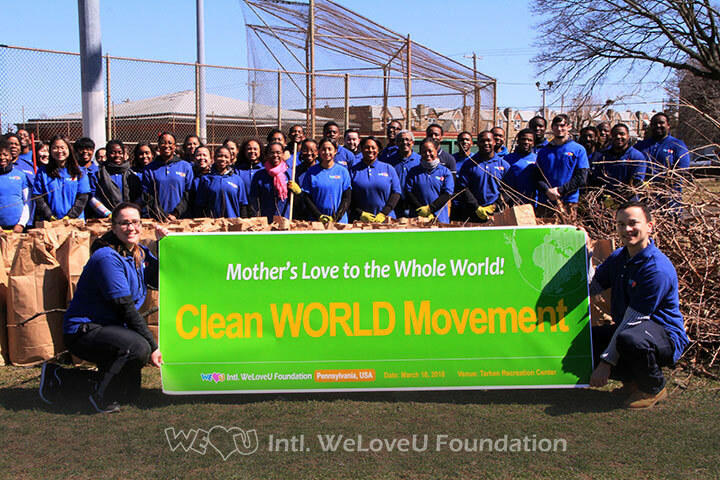 Click here to learn more about the Clean WORLD Movement and click here to get involved. The love and efforts of the WeLoveU members never ceases to amaze me. The Chairwoman Zahng Gil-Jah has really done the most amazing thing! She has created a group where the volunteers actually enjoy what they do making them better citizens for their respective communities. She and the WeLoveU members are truly outstanding. Wow, this is awesome! The volunteers did such an amazing job in making the Tarken Park and Recreation Center safe and clean for the community !!! Wow! Such beautiful minds and hearts at work here! This is amazing! Thank you for all your hard work! Even though it is an important asset for cities, the amount of green space available for public use is less common than it used to be. I’m happy to see people care about city parks which might lack resources and manpower to be maintained beautifully. Great job! 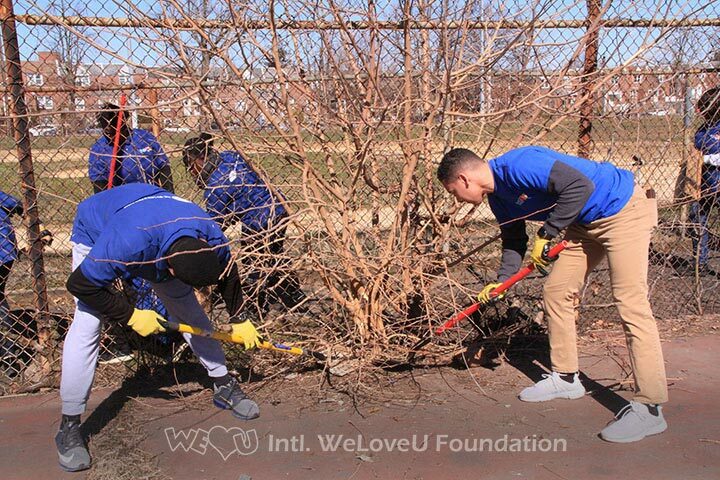 The volunteers focus on creating a warm and comfortable environment in the Tarken Park and Recreation Center in northeast Philadelphia is amazing. Their smiles and hard work has really shaped meaning of love for our neighborhood and families.